Upon these follows the glorious company of the Twelve Apostles, whom the twelve stones taken at Joshua’s order from the bed of the Jordan and set forth upon the shore (Joshua 4), and the twelve fountains in Elim (Exodus 15, 27), where there were seventy palm trees, prefigured. 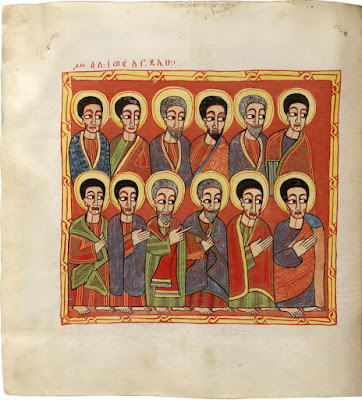 For Our Lord Jesus Christ, leader and liberator of the human race, chose twelve Apostles to form His Church, and by their teaching watered it as with the water of salvation that leaps up unto eternal life. 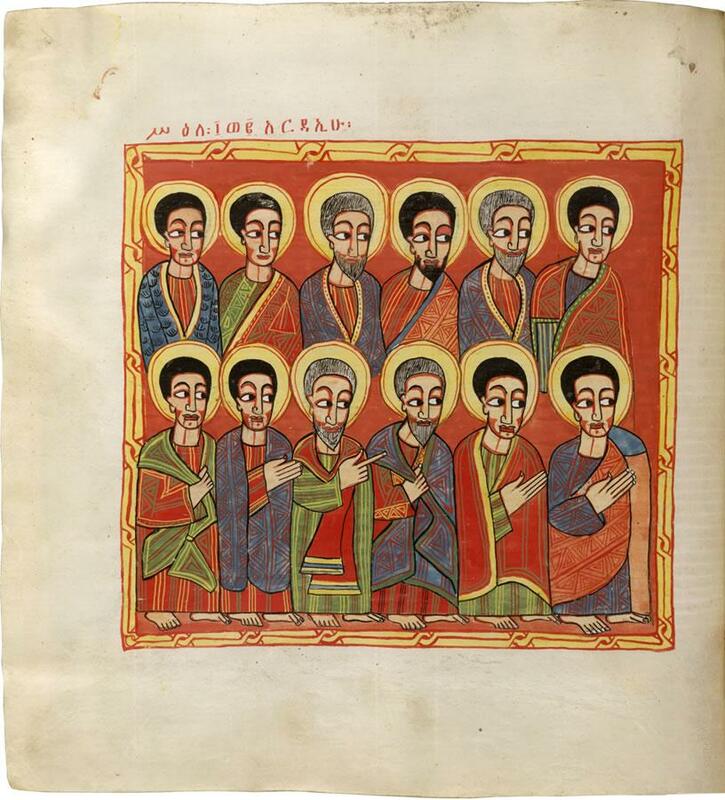 (John 4, 14) The twelve prophets, whose “bones spring up out of their place” (Sirach 49,12) do likewise foretell the twelve leaders that govern and deliver the Lord’s people, by whose zeal the faithful are gathered into the Holy Church, ruled by their teaching, protected by their intercession, illuminated and supported by their virtues.